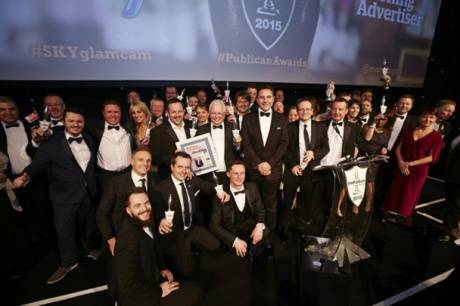 Hosted by comedian David Walliams, the Publican awards in association with Sky, took place at London’s Grosvenor House Hotel and the 1300 attendees were a who’s who of the pub industry’s senior executives. Twenty awards were presented by David Walliams, and The New World Trading Company won two under the categories of best drinks offer and best managed pub company (2-50 sites), fending off the industry’s best competition. The night also featured a charity fundraiser for Alder Hey Children’s Hospital in Liverpool led by Chris Hill, managing director of The New World Trading Company, whose young daughter has been supported by them. A total of £11,836 was raised for the hospital through a business card draw to win an Apply I-watch, which was won by Scott Parker, trading manager at Molson Coors.